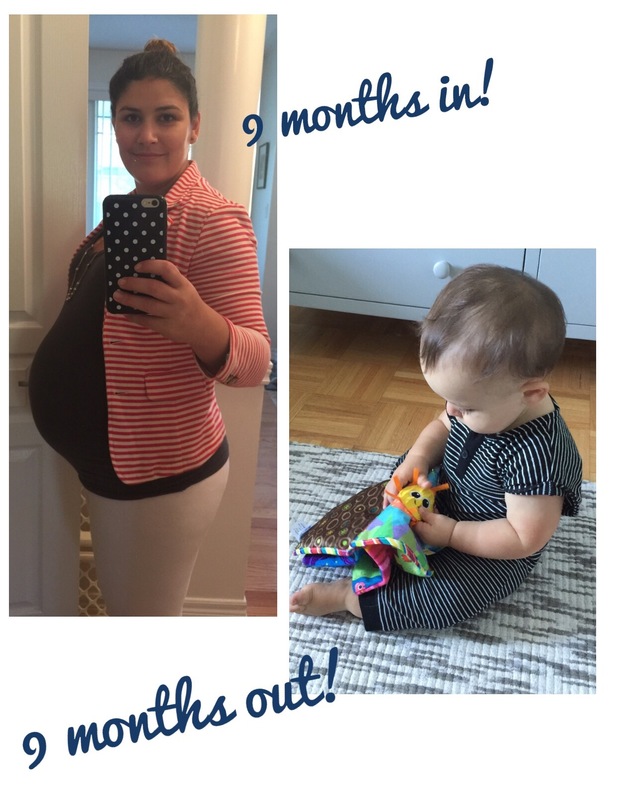 Seriously, if only being pregnant for 9 months went as fast as baby’s first 9 months! I can’t believe we are here already. It has been a great month. B grew a new tooth on top, he is getting much better with solid foods (we tried scrambled eggs, he ate it, but verdict is still out whether he’s into it), he is cruising and climbing, and overall is a lot of fun! We have been able to get out and enjoy the weather which is great. 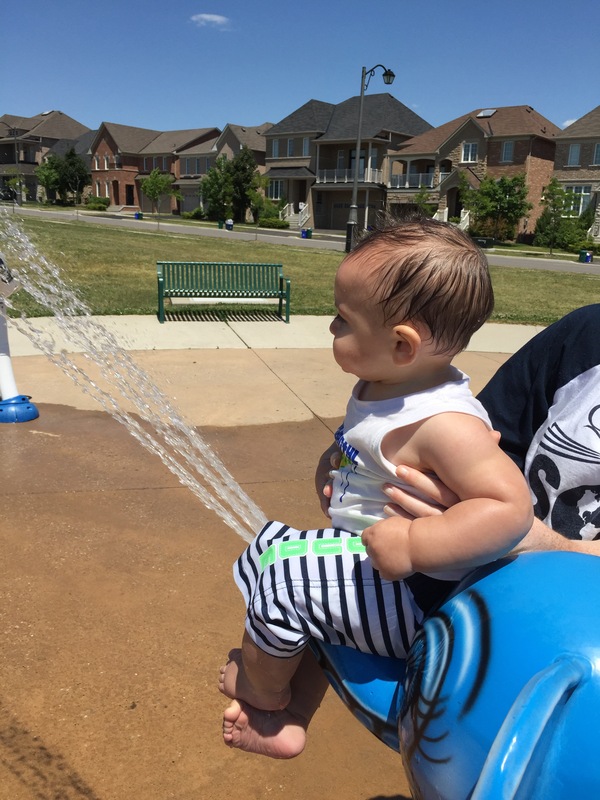 He’s still a little young for the park, but swinging and sitting in the water of the splash pad is more than enough fun for this little man. Now to get him back to the cottage for some more dock side fun! Summer has officially arrived! I am just waiting for my arm to heal up a bit more (hopefully will be cast free July 4 woohoo!! ), then the real summer fun can begin. 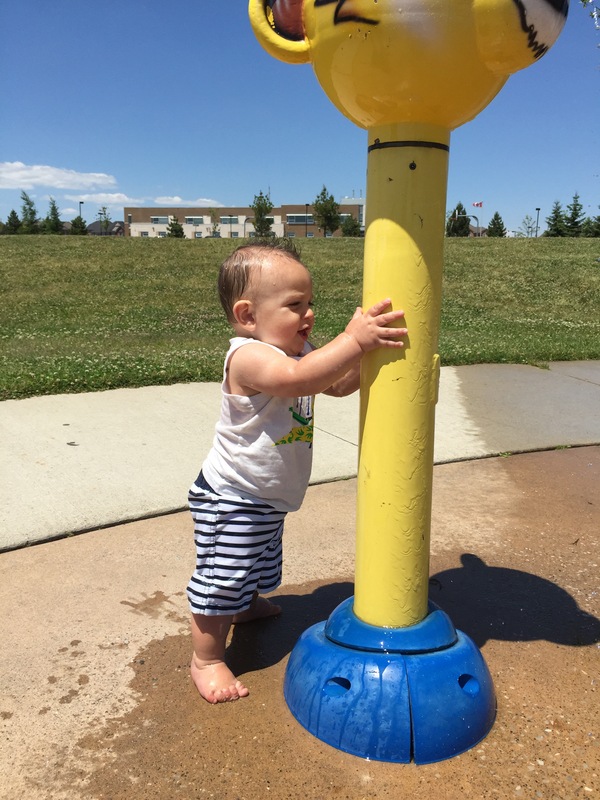 For now B and I have been trying to beat the heat by staying cool at the local splash pads. To continue the summer fun, D and I are heading to Montebello, Quebec this weekend for Rockfest with some friends. Our first long weekend away from B. More to come on this later! For now here is B loving life in the sun (minus the last picture, mom was killing his cool vibes)! 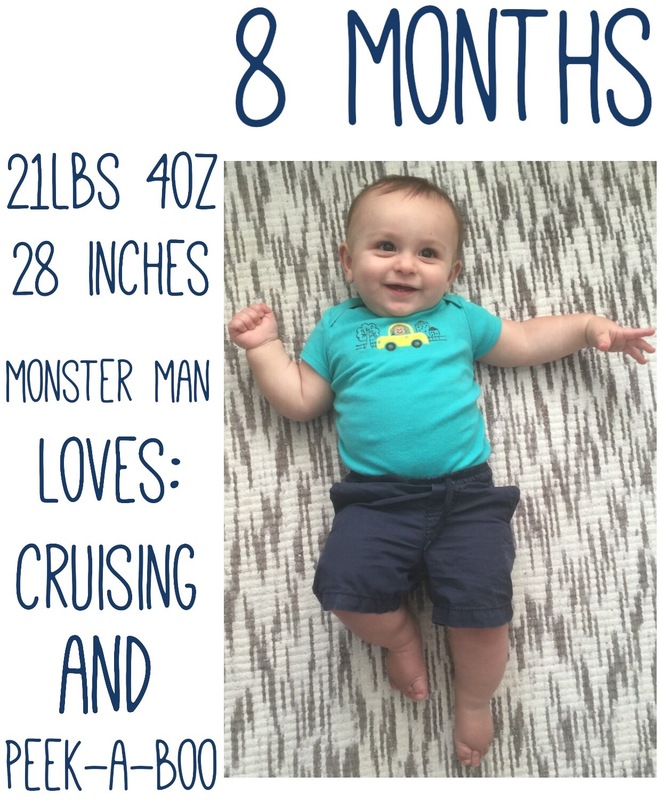 My little man was 8 months on Friday! He has grown up so much this month. When I look at him I no longer see a baby, but rather a little man. 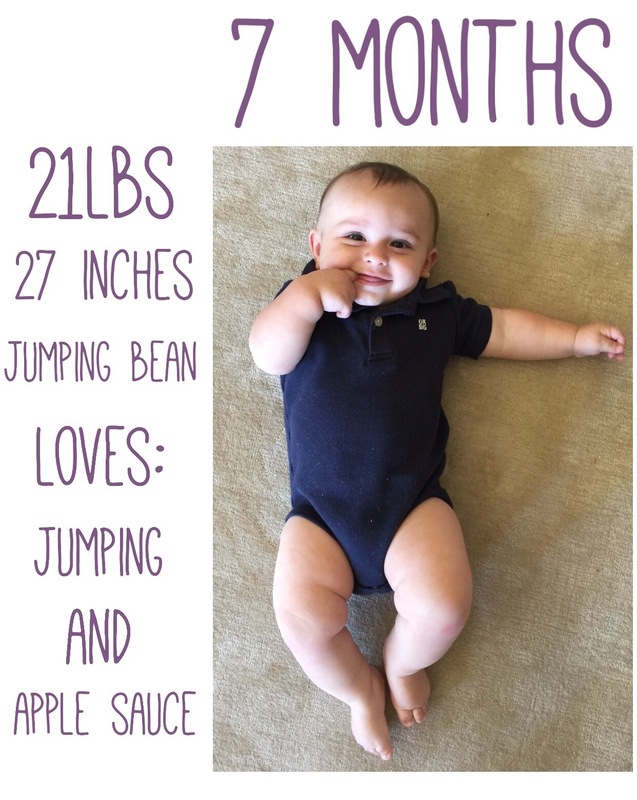 He is still loving his pureed foods, but isn’t quite ready for actual solids, we will keep trying though! His little personality is starting to come through, which is what I describe as a goofy monster man. 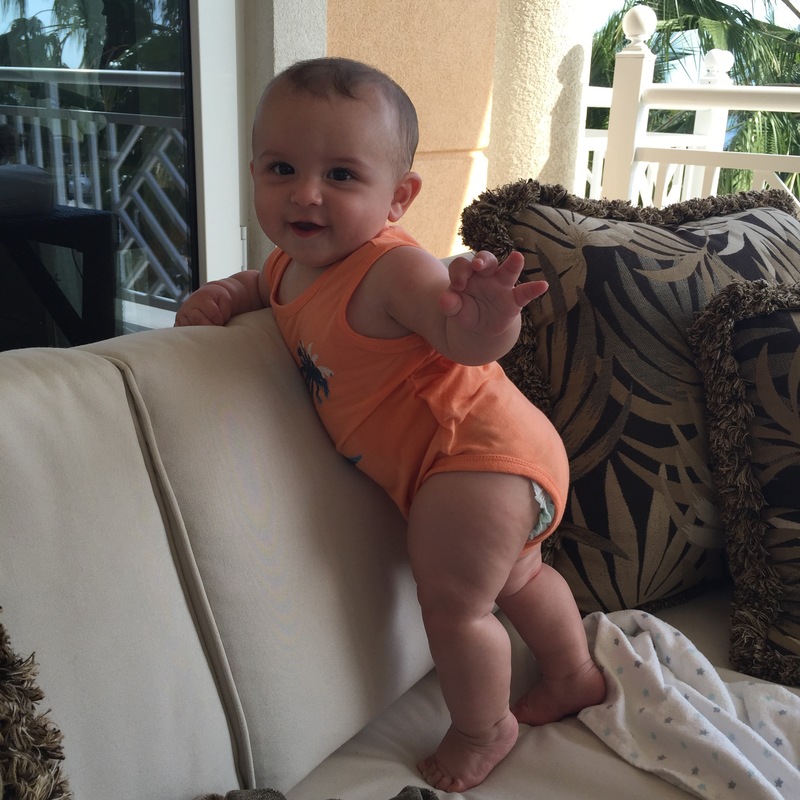 He is cruising around on furniture and is shockingly fast when crawling. The biggest changes this month are he responds to his name and understands the word no, whether he decides to listen to you is another story!! The last few weeks have been interesting as well. I broke my wrist and I am currently useless as a caregiver, so we moved in with Nanny and Poppy. Talk about a true grandparent bonding experience. Hoping to get back soon, but for now B is loving the cottage and having 3 adults dote on his ever need. 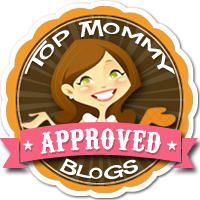 The mom life: KidloLand App. Recently I have been working with my friends over at KidloLand. They were so kind to let Bennett try out their app and I wanted to share my thoughts with you all!! I hope you check them out! Bennett has been interested in my phone/iPad from day one. As a parent in 2016 I knew technology would be a part of our lives so I downloaded a few free apps but I found they were limited and not providing me with useful learning tools for B. So I was thrilled to try out KidloLand when they reached out! It has everything from the classic nursery rhymes, to songs about fruits and veggies, to interactive games once B is a bit older. We have been using the app for a few weeks now and here is what I love about it. Word Display. Every song also displays the words being sung. This is something that many apps lack and I think is super important for learning. It will also be a great tool as B begins talking and reading. Variety! As I mentioned before there are nursery rhymes, songs about fruits, veggies, and also vehicles, the alphabet, colors and shapes, numbers and even Christmas songs! The variety is fantastic and makes listening as an adult very tolerable! And there is no need for a bunch of different apps, this one actually has everything! Interactive. Right now B does a mixture of watching the app, chewing my phone and tapping at the screen. However all of the songs have interactive parts so even a 7 month old can press the screen and have the characters interact back. Once he is older there are plenty of games to keep him occupied and for him to learn from. Educational. Every part of this app has been thought out, as I mentioned before words are displayed to help a child learn as they listen. The songs and games are all focused on learning and are not just noises and visuals which I have found many other apps are. The KidloLand app has 24 free songs and with a yearly subscription ($39.99 US) you can access all of the songs and games. There are 240+ interactive songs and 100+ educational games. The app also recently won the Spring 2016 Academics’ Choice Smart Media Award. Overall I think this is a great tool for B. I am a strong believer in traditional toys and playing outdoors, but I think introducing KidloLand as educational technology is great! B and I have already had lots of fun playing with this app and the way he gets excited for the opening jingle is amazing. To lean more about KidloLand click here or check out the app on iTunes. The mom life: mommy must haves 2. It is quite crazy to think that we are already past the 6 month mark!! I know everyone says how fast time goes, but until you experience it it is hard to believe! 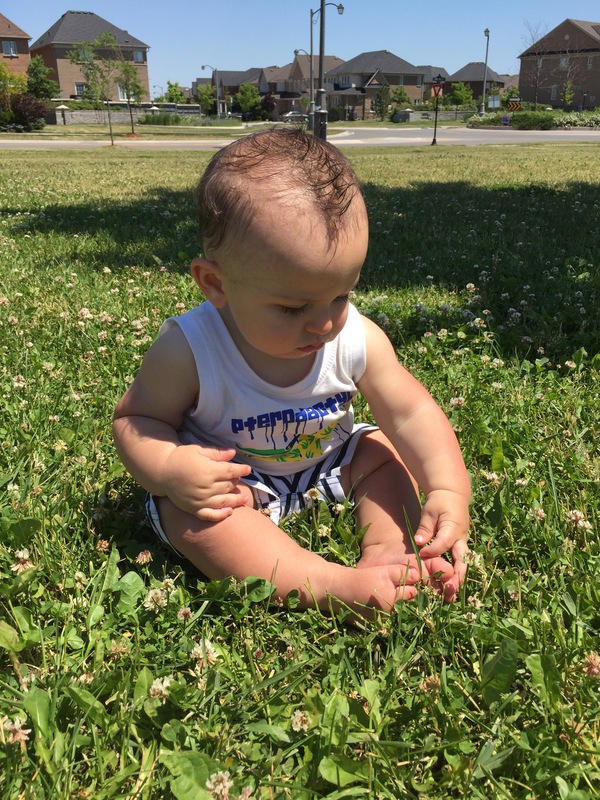 A few months ago I did a mommy must haves post, which you can see here. These items were life savers in the first few weeks/months. As B gets bigger and his needs change I have a few more items to add to the list! Most of these would apply for 5+ months. Infinity Trio 3 in 1 high chair. As B started exploring solid foods and as he began moving around the high chair has saved us. It helps not only in feeding him, but when I need to cook dinner or eat its a great place to strap him in and give him a few toys. We went with the Ingenuity Trio. It looks good and because of the foam seating it is so easy to clean! Jolly jumper. OR a jumper of some form is a must. B has SO MUCH ENERGY, sometimes I just need to be hands free. He loves jumping and is content in there for a bit when I get things done around the house. Also what a great way to strengthen those chubby baby legs! Summertime Flip Stoller. Now that B is bigger we can use a stroller without his car seat. I use this one for running around or going to the mall and even traveling. It is so light weight and fits everywhere. 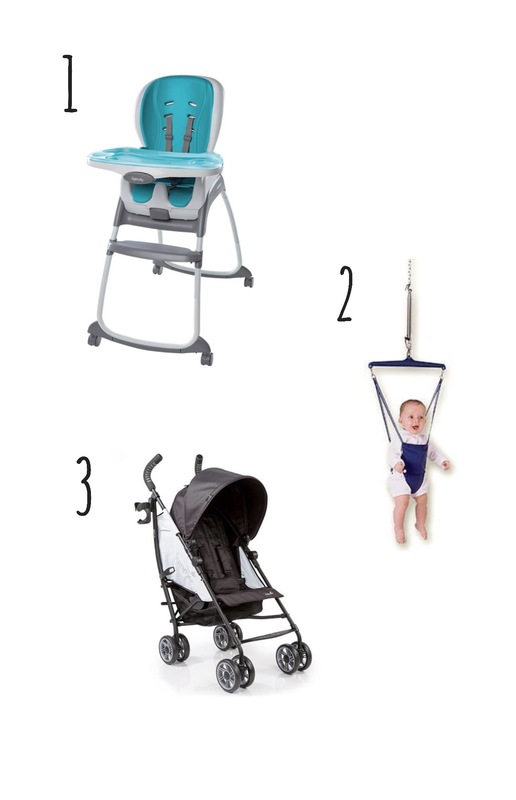 I love my big jogging stroller still, but when I am on the go, this style of stroller is a must have for 6+ month babes. I feel as if by the time I finish writing these monthly updates and post them it is the next month again!! Life is moving fast! 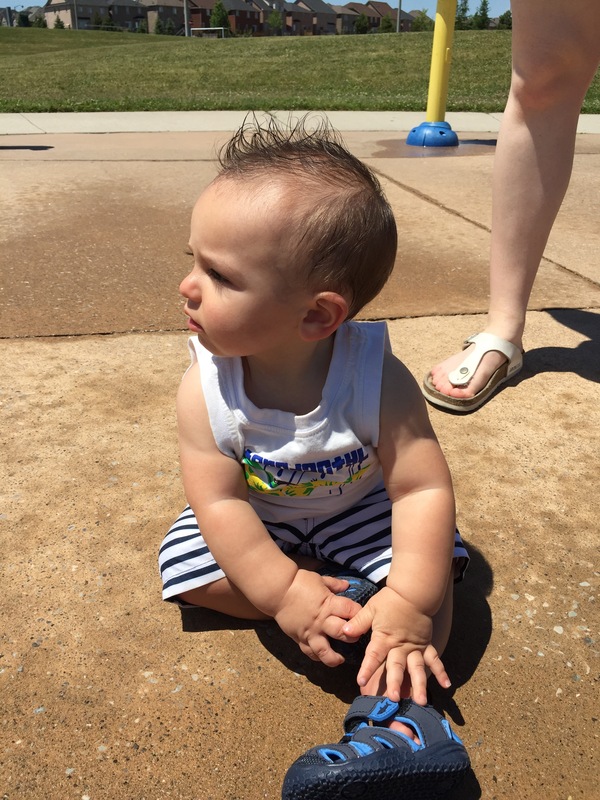 B is turning 7 months in Arizona and he of course is loving life! This is the first month his stats have not changed, but I am not surprised. This little man is always on the move and doesn’t sit still when you hold him! Finally burning off those bottles! 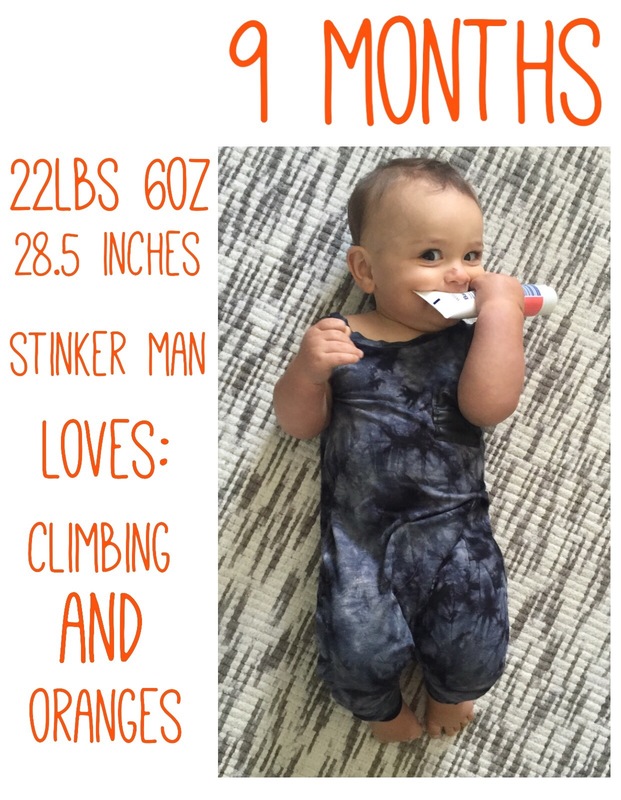 This month he went from inch worm crawling to true crawling and standing in a matter of days. I honestly couldn’t believe how quickly that transition happened! I feel like it was the other day that he master rolling on his belly! Needless to say, B is getting into everything and has his share of tumbles and tears. B and I are heading South once again. This time we are off to Arizona for some mountain views and desert heat! Spring finally arrived in Canada, but I am excited for some sun and pool time. I will keep everyone updated from the road! The mom life: mom time. As each day passes, I feel more confident about my role as a mom. B and I have a great routine that works for us. Although, while I navigate through this first year, it is very easy to get caught up in all things baby. At times I have put baby before everything else in my life and I would be perfectly content being at home just me and baby 24/7. But I am more than just a mother. Finding that balance between your entire universe revolving around this new little creature and your previous life is not easy for everyone. I started (maybe selfishly) with myself. I threw myself back into CrossFit the moment I could after baby. That hour away from everyone, where I could focus on just me, really helped me get through those early months (which mainly due to lack of sleep and hormone imbalance) are the toughest in my opinion. I also joined a book club. When Bennett took naps and I just couldn’t hack cleaning any more dishes, I curled up on the sofa and got lost in a book. Its not even the end of April and I am already on book 5 (more books than I have read in the last two years!!). It is such a small change, but its something just for me. It then dawned on me, that D had very quickly become second to Bennett and I needed to work on that. Its tough when a husband/partner is independent and a baby is not. Shifting my focus has become easier as Bennett gets older. We can put him to bed a bit earlier so D and I can still enjoy some of the evening together and we are making the time to go out together. I think making time for your significant other is important, not just for you but for your kids too. 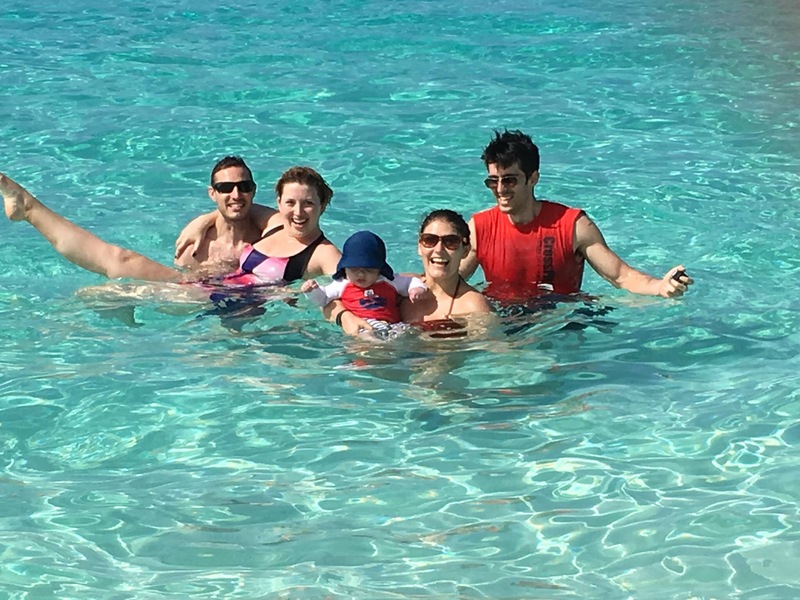 D and I have finally found our groove and we now feel like a family unit rather than mom and baby vs dad. The final piece to the puzzle is girl time. I love Bennett and I love D, but I still need my girls. I went on my first over night play date before Bennett was even 6 weeks old. Having a night for me and only me was the best. Not only to catch up on some much needed sleep in those early weeks, but to feel like me again!! Your life now certainly revolves around baby, but mom time is just as important, for the mental health for you and for your family. How do you fit in mom time? 6 MONTHS!! WHAT!!!! I cannot believe how quickly the past 6 months have flown by! It still blows my mind that I have a baby let alone one that is half way to his FIRST birthday! This past month has been crazy for my little man. We started experimenting with some solid foods, which really is the best part of my day. The faces this kid makes when he tries new flavours is amazing. My little guy also sprouted 2 little teeth. So cute, but beware he has quite the chomp. Finally, he is on the brink of crawling, its more of an inch worm at this point, but I am keeping a close eye. He is going to be gone in a flash very soon! Lots of exciting changes this month, but man on man, please slow down buddy!! !